Last Saturday we had Wesley's 4th birthday party. It was a simple party, but he loved it! Russ's sister mailed him an Elsa costume which he opened right before the party. Needless to say, he has been wearing it as much as he can since then. The kid LOVES Frozen! Monday night, Russ's building had an open house. You can read more about what his part of the school does here. It's a gorgeous building and the boys got to explore and eat some fancy treats! 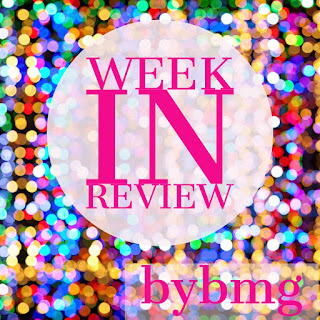 I went to Target last weekend and shopped for $10 at Target. I spent my $10... and then I found this rug. It was a must have! I love it! Don't forget to link up with $10 at Target on Monday! 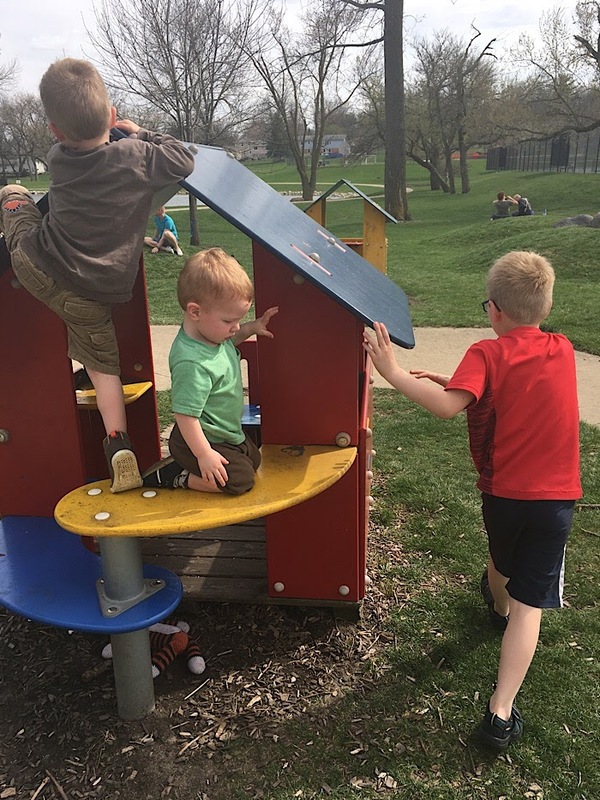 We explored a new park on Sunday afternoon with some friends and the boys loved it! I took Henry and Wesley in for eye exams this week. It was Wesley's first exam and it was a little rough, but it turns out he doesn't need glasses! Henry got an updated prescription and we should have his new glasses in about a week. 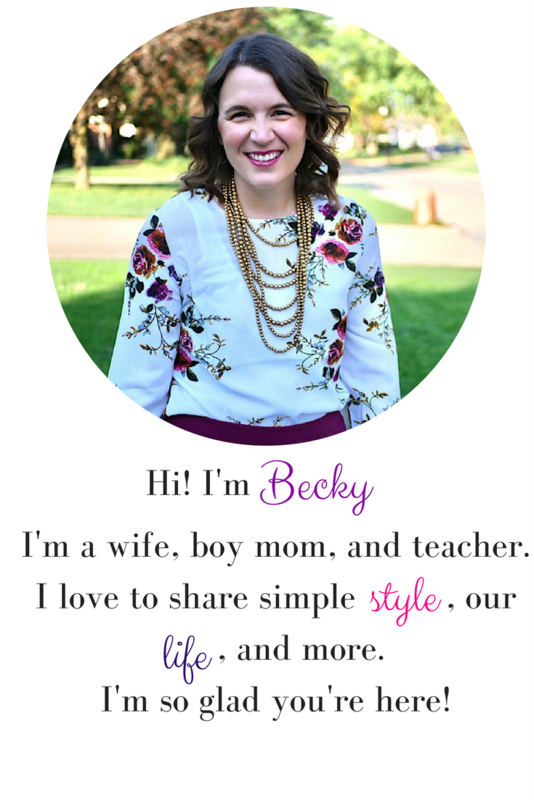 Our feature blogger this week is Love Amy Cotton! 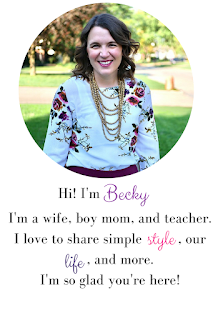 Amy has a lovely blog with beautiful pictures and if you have a son my Henry's age, you also will love to know her husband is part of Dude Perfect!